The entry quoted below comes from my Facebook page, written last spring. Some would call it love and romance, but I’d ascribe it to the primal force that drives all creatures. 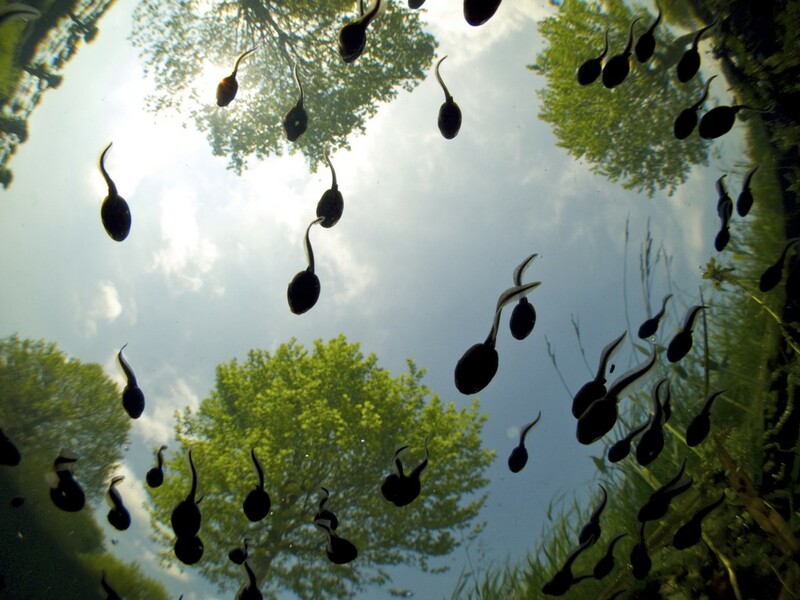 About two years ago I dumped a jar full of tadpoles in the small pond of my postage-stamp-sized front garden. They thrived. And then they vanished.